Data Services stock images by Aurielaki. Isometric Concept illustrations in EPS10 EPS JPG AI SVG. Data services for innovation. Safety social global integrated security. Virtual key support. Storage drawing circuit of database. 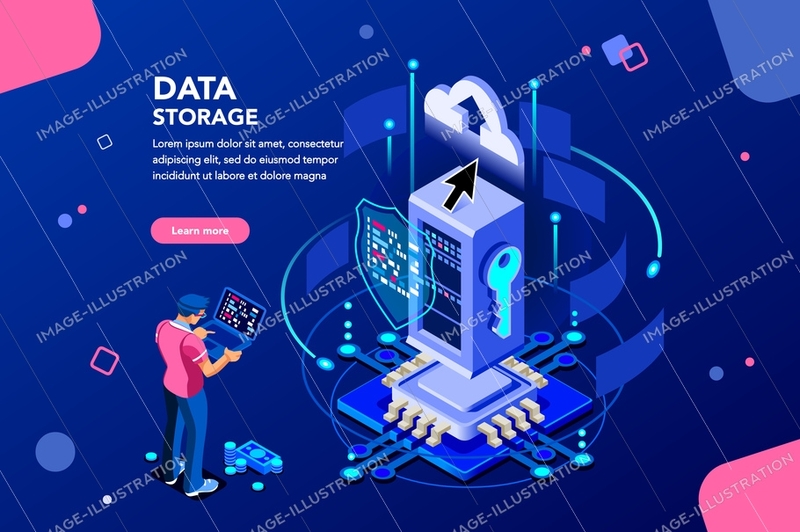 Web banner, flat isometric illustration isolated on white background. SKU: Data-Services-Concept-Isometric-AurielAki. Categories: Isometric Business People, New. Tags: abstract, abstract innovation, access, application, banner, blue, business, circuit, cloud, communication, concept, cyber, data, database, design, drawing, futuristic, global, globe, homepage, icon, infrastructure, innovation, integrated, internet, isometric, key, landing, mobile, modern, network, networking, page, phone, protection, safety, secure, security, server, service, services, social, software, storage, style, support, system, tech, virtual, web.